How many times have you read the words ‘gardening under cover’? Did you immediately know what it meant? I remember reading the sentence years ago and assumed it meant gardening in a beautiful old Victorian style greenhouse. It didn’t occur to me that gardening ‘under cover’ could also mean under a cloche, in a polytunnel, a lean-to plastic greenhouse, under an empty fizzy drink bottle, or even on a windowsill, though reading the words literally, I guess it seems obvious now. 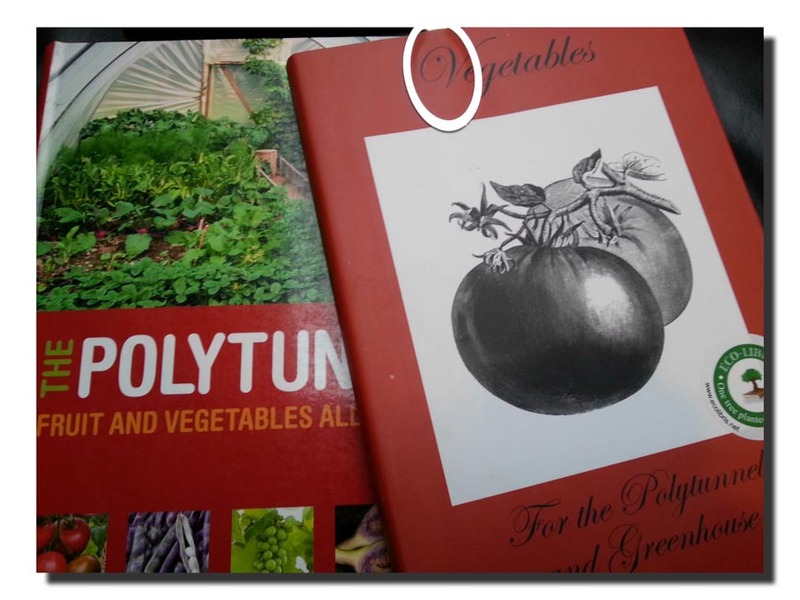 This week a reader contacted me looking for advice on gardening undercover, or more specifically, how to grow vegetables in her brand spanking new polycarbonate greenhouse that was still in its box. Her contagious enthusiasm was delightful and one I could relate to. We’re at the time of year when we begin to feel that bubbling sense of anticipation as the new growing season approaches, Spring is almost upon us! I was glad the reader got in touch before she’d opened the box. It’s at this stage that many people go wrong. She’d already done her homework and made her purchase. Now for the exciting part. Glass or greenhouses are generally more aesthetically pleasing, will last longer, let in more light and hold their heat longer but they can cost considerably more than polytunnels. If you have your heart set on a greenhouse but finances are an issue, keep an eye on the small ads as they do pop up for sale from time to time or if you’re handy, make your own. Polytunnels make gardening undercover affordable for many. 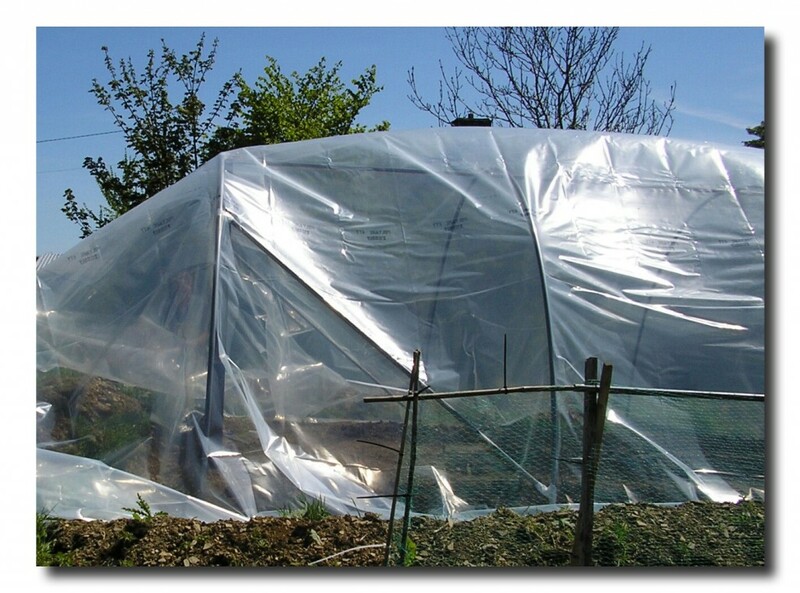 You can get a much larger growing area for your money but you will have to replace the polythene every five to ten years, depending upon the gauge you buy and your location (some will be more exposed to weather conditions that others). The metal frame will make up the majority of your outlay but once you have that in place it will last you for years. 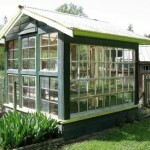 Like greenhouses, geodomes and hot houses look good and their shapes offer quirkiness to your garden. 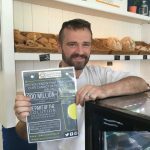 They are also able to withstand all-weather conditions so if you live in a particularly windy area, they might be an excellent choice. Again they’re quite pricey but can be used as sunrooms, kids play areas, somewhere warm to site your giant paddling pool, or of course, somewhere very nice to grow your veggies. The Greenhouse People have an excellent buyers guide which, apart from extolling the virtues of their own products, also list many of the factors you may wish to take into account before you make a purchase of your own. 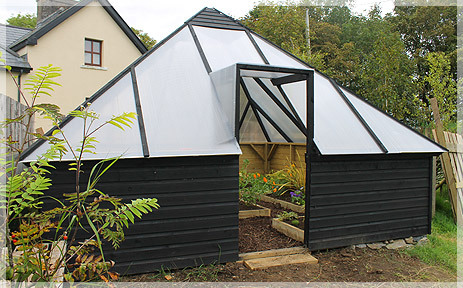 These include tips on where to site it, whether to choose glass or polycarbonate, ventilation and size, with much of the advice applying to polytunnels too. If you can’t afford to buy new, I wrote a post in April last year looking at the cheaper versus expensive debate where there were lots of ideas for making your own structure. 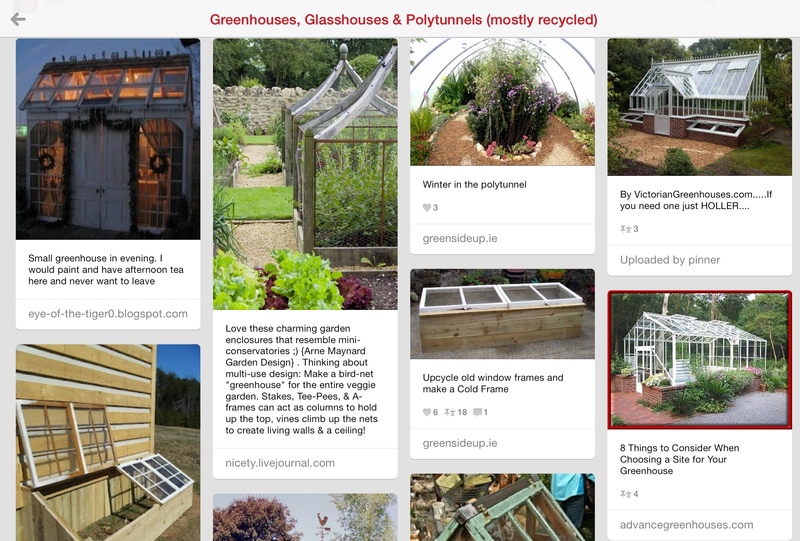 You can also take a look at the Greensideup Pinterest board dedicated to Greenhouses and Polytunnelswhere there are some fabulous recycled and new creations. You’ve researched, picked up or had delivered your new greenhouse or polytunnel, what next? How many times are we told to read the instructions before we start to use something but skip bits because we’re in a hurry? Carefully open the packaging, find the instructions then check all the pieces are there and that they are the correct ones. There’s nothing worse than finding your missing pieces or incorrect ones have been accidentally packed when you’re half way through your build. 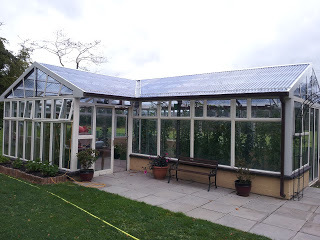 I couldn’t understand why a local polycarbonate greenhouse was in pieces within a year of being put up until I discovered that most of the window clips hadn’t been used so all the windows fell out at the first gust of wind. Don’t start erecting it if you’re in a bad mood or if the weather’s not favourable! Really, don’t. I speak from experience and I’m generally a good-natured soul. I’ve yet to put up a greenhouse though have had a hand in several polytunnels. Putting anything together that you’re not used to can be stressful and put a considerable strain on a relationship! Add unfavourable weather conditions to the mix and blood pressure levels may rise. You’ll also risk setting sail the most expensive kite you’ll ever fly if you’re trying to put a polytunnel up in anything but the calmest of conditions. Clipping windows in place and erecting frames will all be much harder if it’s windy, or even too hot (tempers may fray in the heat). However much you want to start growing, it’s worth waiting that extra day or so, or consider paying experts to do it. If you’ve bought a mini greenhouse which isn’t concreted down, fix it firmly to the floor, a wall, anything. Almost everyone I have spoken to (including me) has had one of these turn itself upside down or crash over complete with its entire contents. Whether you’re erecting a small greenhouse on a concrete base or a large polytunnel onto soil, it’s much easier to prepare the ground before you place the structure on top (and essential in the case of the concrete base). If you don’t you’ll risk breaking or putting holes in your structure before you even begin. If you’re planning to grow vegetables directly into the soil as opposed to containers, but aren’t sure when you’ll get around to erecting the structure, cover the soil with cardboard. The weeds will die and the soil will begin to break down without you having to lift a fork. Place a layer of cardboard on the ground, spread a layer of organic matter (straw/manure/compost) over the top then add another layer of cardboard. This is known as lasagna gardening. What can I grow undercover? Anything! After the long wet summer I’ve been day dreaming about growing all my vegetables undercover! 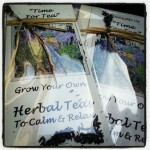 For most of us however, that’s not an option so when considering what to plant it’s worth baring a few things in mind. Do you want to harvest all year? If the answer is yes then ensure you leave space for your autumn/winter veg. It’s easy to get carried away and fill your soil, containers or shelves with hot climate fruit and veg only to find you’ve no space left for carrots, Christmas potatoes or spinach. Space. Bare in mind how much room the plant takes when it’s growing versus how much space you have. For instance a winter squash could take over a tiny greenhouse and only provide you with a couple of fruit. You might be better to grow it in a large container outside on a warm patio and save your greenhouse space for vine tomatoes, hot chilli peppers, mediterranean herbs such as basil and a single courgette plant. Shelving is important if you plan to raise plants from seeds as a few trays can quickly fill up a small greenhouse if you don’t have any. 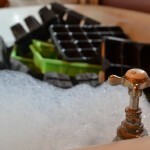 I couldn’t write a post on growing undercover without mentioning ventilationn. It’s vital. Without an adequate air flow you’ll risk Botrytis (grey mould) and powdery mildews as well as develop a build up of pests that love warm dry environments such as red spider mite that will thrive. Access to water also has to be taken into consideration. I wrote a post a couple of years ago on watering plants and seedlings which might be helpful. Lastly, buy a couple of good books about growing undercover and/or attend a workshop. I’ve held morning workshops about growing in a polytunnel and many other training centres offer them throughout the year. 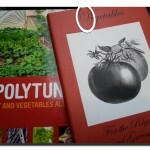 If you have a polytunnel Joyce Russell wrote an excellent must have book called The Polytunnel Book – Fruit and Vegetables All Year Round and Klaus Laitenberger published Vegetables for the Polytunnel and Greenhouse a couple of years ago. 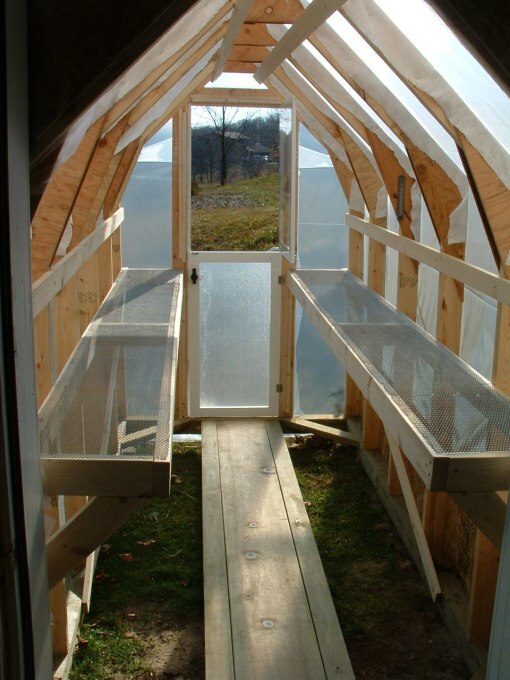 Polytunnels & Greenhouses: is cheaper better? This is fantastic thank you sooooo much – I will take your advice and wait for a fine day to take my lovely greenhouse out of the packaging! Can’t wait to get started – will send photos and hopefully fruit soon! Thanks Naomi. 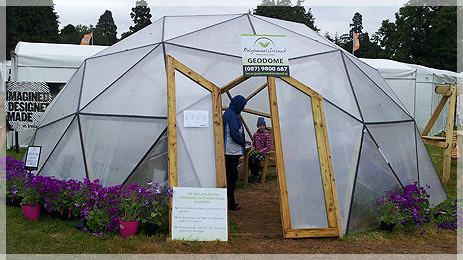 I totally agree about the Geodome and having spent some time in one at Bloom last year sheltering from the rain can speak from experience about it being a lovely space to be in. Best of luck! Brilliant post and quite appropriate as I’m doing my protected cropping assignment on Polytunnels 🙂 Thanks! The idea of a polytunnel cover as a very expensive kite on a windy day made me laugh! One other thing I’d mention is that when putting the plastic cover on a polytunnel, it’s a good idea to wait for a warm, sunny day. The plastic expands a little in the heat, so can be stretched to its fullest extent and then is much less likely to sag later. Great blog! 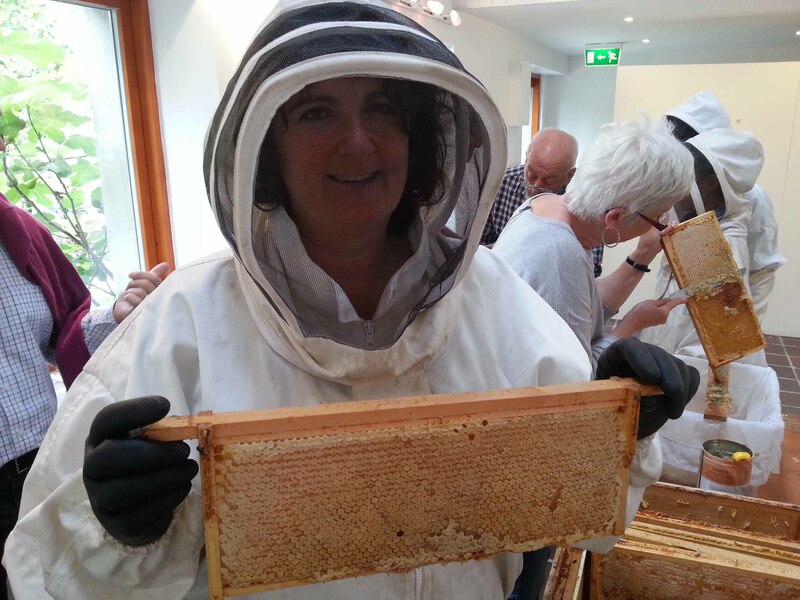 When I was made redundant 2 years ago, I had 2 choices…..to go on a once in a lifetime cruise holiday, or refurbish our garden and buy a poly tunnel. Weighing up the pro’s and con’s I decided that the cruise would only be a once off and the garden would provide us with food for years to come. So I bought a 14′ x 20′ tunnel from Polytunnels Ireland and got it erected professionally by the manufacturer. It was a lovely sunny hot day so the plastic is now as tight as a drum still. One of the best decisions I ever made 🙂 I also have one of those cheaper, green hobby tunnels where I do all my seeding trays and put some growbags there. There is also room for a seating area at the end of every fruitful day in the garden. 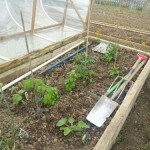 I grow most of the year round and love it in the poly tunnel even if it is raining or windy outside.Thanks for this blog, always open to more advise, as gardening is an ongoing learning process. Cathy thanks so much for sharing that story… what a tough decision though I know I would make the same choice you did. I can spend hours in my small tunnel and sometimes wish I had more given our weather but then the sun and the wind on the skin is a lovely feeling too. For some reason this post past me by and I’m only getting to see and read it now. Ok so it’s only a year later haha, better late than never I guess. You’re welcome Ena and glad to hear the posts are being shared with more gardening enthusiasts!